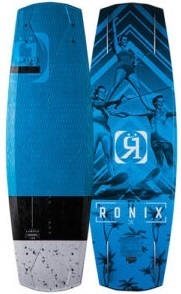 Bekijk alle details van de ronix parks i-beam air core 3 eenvoudig online bij TelstarSurf.nl. Geniet zo snel mogelijk van je nieuwe aankoop, bestel vandaag nog in de online surfshop. 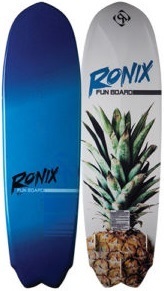 Parks Bonifay’s hard charging, quick reacting rail design for riders that want instantaneous response on the water, along with a camber rocker line. Camber naturally puts you in more of a neutrally balanced weight distribution – allowing you to drive off the wake with both legs in a more ergonomically balanced body position. Last year we fully redesigned our only men’s camber series with greatly increased glide speed and less drag on the water, a new Air Core featuring I-Beam Construction, and a thinner tip/tail for less swing weight and our fastest rail to rail design. 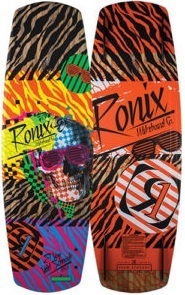 Thought you knew everything a wake board could do? Camber is the biggest development in riding since Herb O’Brien made the first fiberglass board.